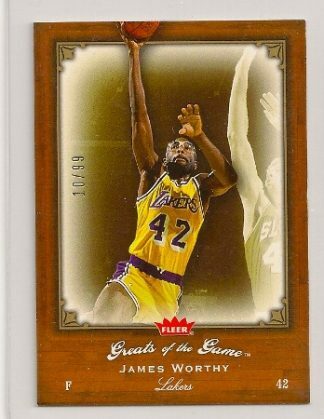 2005-06 Fleer Greats of The Game James Worthy Insert Card Numbered To Only 99. James Worthy 2005-06 Fleer Greats of The Game Insert Card /99. 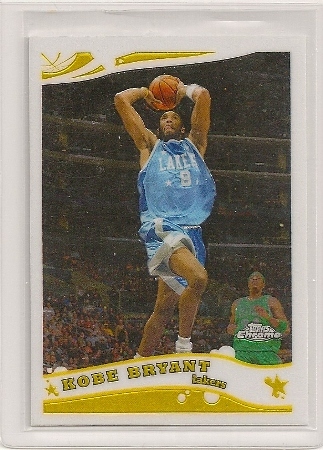 In 2005, Fleer produced it’s “Greats of The Game” set. 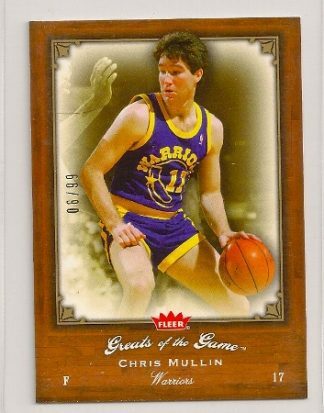 This issue offered cards of past NBA players. 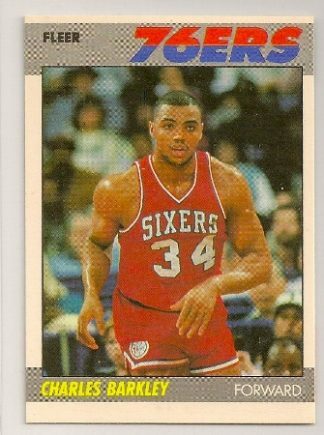 Players like Larry Bird, Michael Jordan, Bill Russell, Magic Johnson and more. Included in this product was a parallel of limited insert cards that are numbered to only 99 produced. Up for sale here is one of those cards. 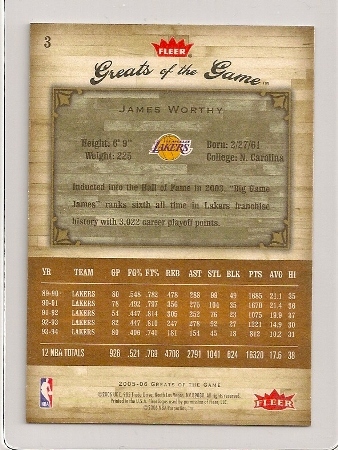 It is a James Worthy 2005-06 Fleer Greats of the Game insert card with a serial number of 10/99. 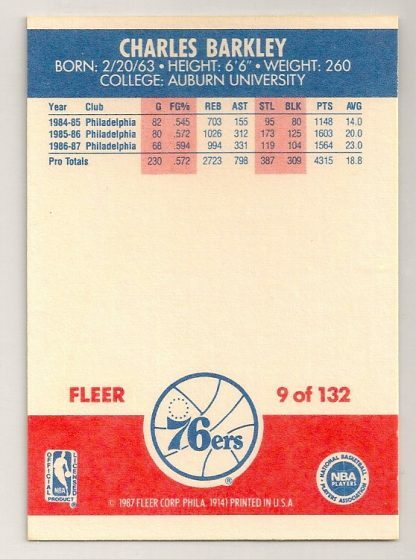 It is card #3 of the set. You can view the entire ’05-06 GOTG checklist here.